Today we have reached number 3 on the Gourmet Live list of 50 Women Game-Changers, which is held by Fannie Farmer. 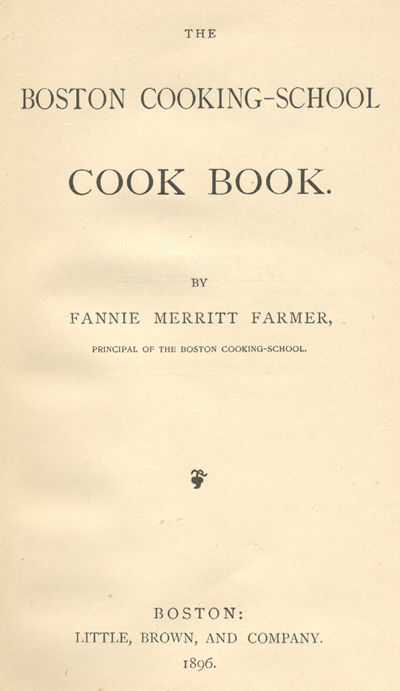 Chances are you have a copy of The Fannie Farmer Cookbook in your collection. If not, I bet your mom or grandmother do. Full of recipes that range from easy to gourmet, this cook book rivals The Joy of Cooking as THE kitchen bible. Having both on your shelf would be a grand idea. Farmer’s cookbook was originally published under the title The Boston Cooking-School Cook Book in 1896. 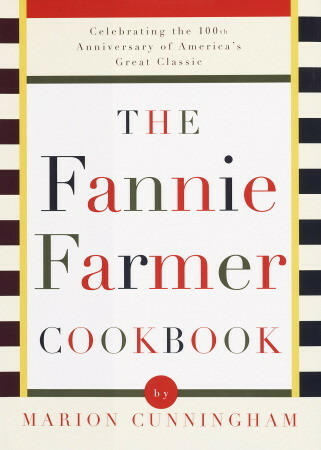 It was so popular that people started referring to it as the Fannie Farmer cook book. Farmer is best known as the first cookbook author to use specific level measurements. No more pinches of salt or using teacups to measure liquids. To honor Fannie Farmer, I made the Saucepan Chocolate Cake recipe from the latest cookbook. 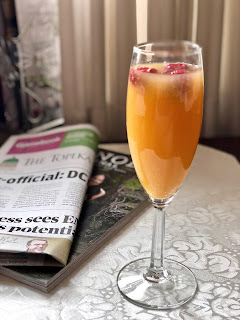 I loved the old-fashioned feel of the recipe. (The instructions say to test the cake with a broomstraw!) It is simple to make and the ingredients are all mixed together in a saucepan. A great recipe for beginners. This cake is a chocoholic’s dream! Dark, moist and so rich it doesn’t need frosting. I followed the recipe’s recommendation and topped a slice with whipped cream. It was wonderful! The recipe makes two loaf cakes. I plan to enjoy one now and wrap the other one to freeze for another day. Preheat the oven to 275 degrees F. Butter and flour two 8 1/2 x 4 1/2 x 2 1/2-inch loaf pans and set aside. In a 4-quart or larger saucepan, melt the chocolate, butter, and coffee together over low heat, stirring constantly. Once the chocolate has melted, use a whisk to beat the mixture to make sure it is completely combined. Allow to cool for 10 minutes, and then add the eggs and vanilla. In a large bowl, sift together the cake flour, sugar, baking soda, and salt. Add the sifted dry ingredients to the chocolate mixture and beat together with the whisk until well combined and smooth. Divide the batter between the two loaf pans. Bake for 45 to 50 minutes or until a cake tester (or broomstraw) comes out clean. Allow the cakes to cook in the pans for 15 minutes, and then turn them out onto cooling racks to finish cooling. To serve, beat together the topping ingredients until soft but not stiff. Spoon the whipped cream over each serving. Linda, Very interesting post…and a gorgeous chocolate cake!! I love chocolate cake! I had heard of Fannie Farmer and browsed the Boston Cooking-School Cook Book but didn't realise they were one and the same. I need no urging to make a luscious chocolate cake. Thanks for all the interesting info and this lovely recipe, Linda. Chocolate cake is produced with the help of the senior ladies of the field. Most of the ingredients of the cake are taken from the main store of the town. The taste is fantastic and enduring for the future parties.